Weddings, birthday or anniversary parties or retirement celebrations ... The most special moments of your life will become unforgettable memories. Your product presentations, congresses, training days, meetings, team-building and networking sessions will be a success. The spaces of La Farinera Sant Lluís make an ideal shooting location for films, TV commercials and photographic reports. An exclusive complex located in the municipality of Pont de Molins, in the heart of the Alt Empordà. Feel the warmth of our interior spaces that occupy the old flour mill, and fall in love with our gardens. We have created multi-purpose rooms to host all types of events: weddings, parties, training days, presentations, company meetings, exhibitions, conventions, concerts and even filming and photographic sessions. If you are organising an event or planning a celebration, take a look at this video: you are sure to fall in love with La Farinera Sant Lluís! 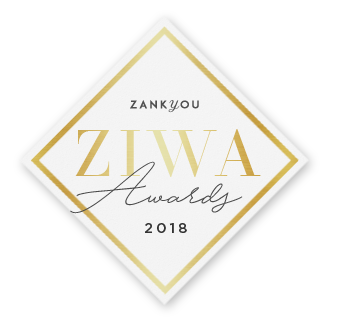 The Zankyou International Wedding Awards (ZIWA) are the prizes given to the best suppliers of the worldwide wedding sector. Our estate, La Farinera Sant Lluís, has been recognised in this edition as one of the best places in the area for holding wedding celebrations. This site uses its own and third parties cookies to improve our services related with your preferences by analyzing your browsing habits. If you continue browsing, we consider that you have accepted the use of it. You can learn more about our policy here.